#ArjunKapoor slams a popular Entertainment portal for making uncalled for comment on #JanhviKapoor’s attire. A popular portal ran a story about Janhvi Kapoor's attire choice, objectifying her crassly. Arjun Kapoor took to his social media account and slams the portal and he is not mincing any words this time around. 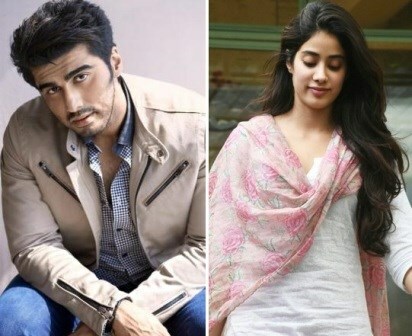 Recently Janhvi Kapoor, Khushi Kapoor and father Boney Kapoor visited Arjun Kapoor's residence last night for dinner. Several pictures emerged of the debutante looking pretty in a white dress as she exited Arjun's house. One was about “Dhadak” debut actress, which has “Ki and Ka” star fuming. On the work front, post-Mubarakan actor Arjun Kapoor has three movies in his kitty such as Sandeep Aur Pinky Faraar, Namastey England, and Panipat. Sandeep Aur Pinky Faraar and Namastey England, both the stars Arjun Kapoor and Parineeti Chopra in Dibakar Banerjee and Vipul Amrutlal Shah directorial respectively. Panipat is an upcoming historical period drama film which will be directed by Ashutosh Gowarikar. It features Sanjay Dutt, Arjun Kapoor, and Kriti Sanon. The film will be based on the Third Battle of Panipat that took place in 1761 between Afghan warriors, numbering somewhere between 60,000 to 70,000, against Maratha forces of nearly 300,000 (including 120,000 highly trained warriors) and concluded in a decisive Afghan victory. The film is scheduled to release on 6 December 2019.